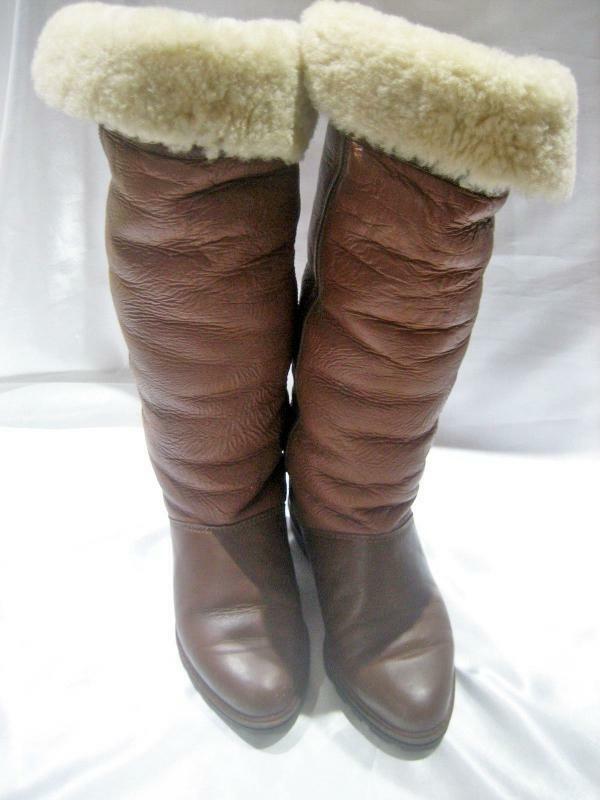 LA CANADIENNE BROWN TWO TONED LEATHER FLEECE LINED HIGH BOOTS SIZE 7.5 Women's . 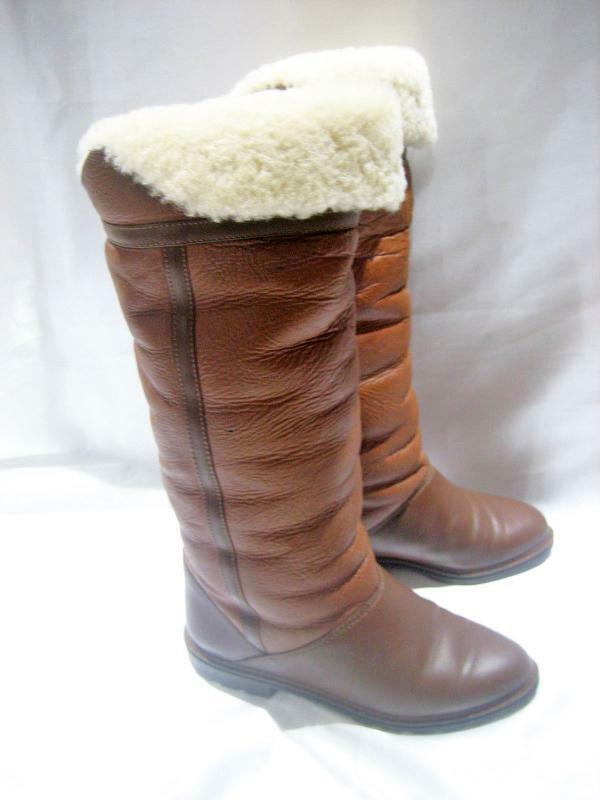 The are in very nice condition with hardly any wear to them. Only the back very back of the bottom of the heal , the sole has scant wear. 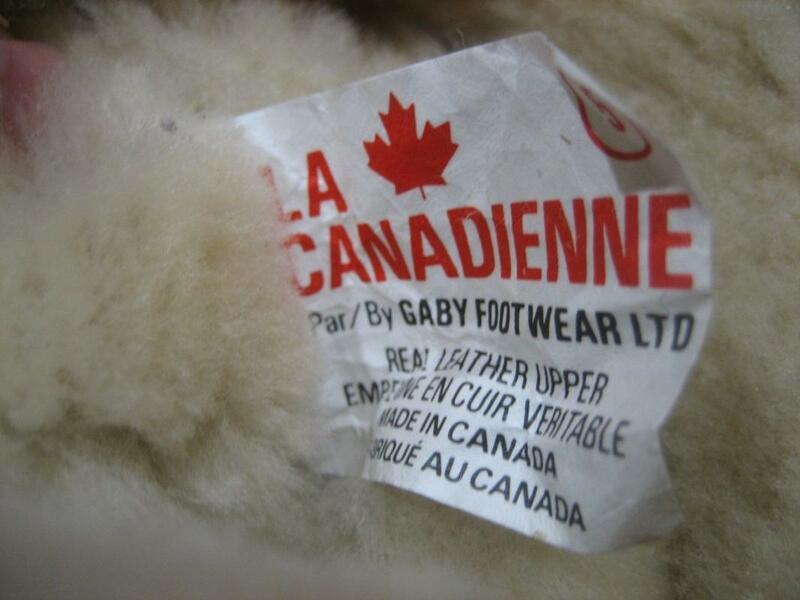 They are nicely lined with fleece inside the shaft and over the foot. Even on the foot bead there is lining but it is thiner. Should keep you uber warm. The leather is very flexible. The top of the boot shaft can by folded down as shown in pictures or flpped up. No scuffs or marks. The heal is .75 inches and the boot are 17 inches tall when the top front is flipped up.